If you really want to strip down your body fat you don’t just have to look after your diet and lifestyle – you have to train… and train hard. 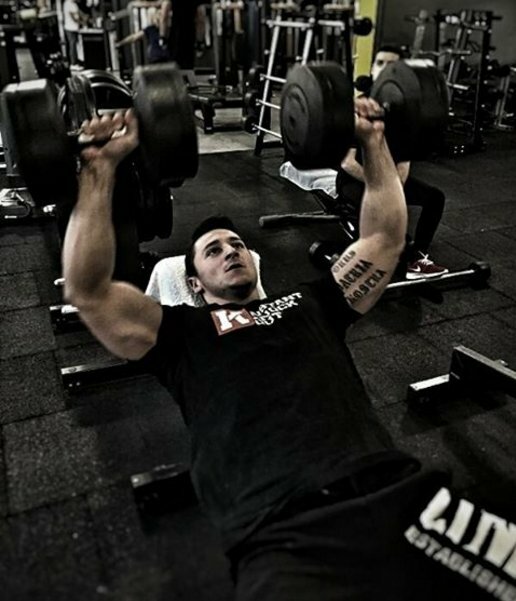 Not only does Escalating Density Training help you burn a massive amount of fat during your workouts, it also provides a great stimulus for muscle growth. You’ll boost your body conditioning and take your fitness levels to the highest levels they’ve ever been. This advanced, progressive training system is aimed at maximizing lean mass and fat loss. Escalating density training (EDT) was introduced to the world of fitness by American strength coach Charles Staley. It is an intense but short method of training that focuses on changing body composition and improving strength and fitness. The most important aspect of escalating density training is of course that of density. In the fitness world we use variables such as reps, sets and weight to measure the quality of a workout. In simple terms, density refers to session volume relative to session time – for example if you did 5 sets of 5 pullups in 20 minutes your session density would be 25 repetitions in a 20-minute period. When using weighted exercises you can also measure density using load – multiply the weight you lift by how many reps you complete, then by how many sets you complete in the session. For example if you did 3 sets of 10 with 50kg you would have lifted a total of 1500kg. How to Complete Escalating Density Training? The first thing you’ll plan is a time frame for the session – traditionally a 15-20 minute period is used as it keeps the workout tough but short enough to get through. Next you’ll choose two exercises for different muscle groups – upper body and lower body exercises work well together, as do pushing and pulling exercises. You’ll categorize these as workout A, then choose another pairing for workout B. Choose weights for each exercise that allow you to lift 8-15 reps at a push. Start with the pair of exercises in workout A and complete as many reps of exercise 1 as you can/want to. Once you’ve finished, move on to exercise 2 and carry on, again doing as many reps as you want. You’ll continue moving between the two exercises in workout A, with as little or as much rest as you want – once the 15-20 minutes is up you record the total number of reps you lifted for the session as well as density. This is your personal record, or ‘PR’. After a short rest of 5 or so minutes you start again but this time working through both exercises in workout B for a 15-20 minute period. Two workouts each lasting around 20 minutes with a 5 minute rest in-between adds up to roughly 45 minutes of gym time, although to begin with you can just do workout A if you wanted and progress from there. One of the best ways to improve how hard you work is to set a time limit to your session. The beauty of this approach is not only is it brutally honest and challenging – it’s time productive too. By working harder in a set time you’ll see a ton of benefits. The high intensity of the session means you’ll increase fat burning, and the accumulative effects of weight lifting mean you’ll grow muscles that further boost your metabolic rate. You’ll also learn a lot about your own limitations when lifting weights – particularly in relation to how you use rest times effectively. Auto-regulation – a fancy term for having flexible rest times – allows you to learn the best strategy when trying to boost density. Rest too long and you’ll not hit a decent density but don’t rest enough and you’ll struggle to get through the session time. It’s essentially a way of managing fatigue as best as possible. Finally, there’s no better way to see that you’re progressing than actual objective numbers. The fact that you’ll be improving pretty much every session will help motivation and a sense of accomplishment. As with any high-intensity workout there is an inherent risk of injury or illness if you don’t put your safety first. If you’re new to exercise or have an existing illness you’d be better avoiding this one. Unlike other workouts where rest times are set, you have an amount of flexibility with escalating density training rest times so listen to your body – if you don’t feel ready to go with the next set then ease off. As your fitness improves so will your recovery. Lastly, you need to consider the pairings of exercises per workout – as we’ve already mentioned, upper body and lower body pairs work well, as do push and pull exercises. Make sure you’ve got the equipment you need and go for activities where you know your technique is good. The great thing about escalating density training is there are no limitations to exercise choice. However that can also leave you with the daunting task of choice, particularly if you’re not confident with muscle groups or exercise sequencing.